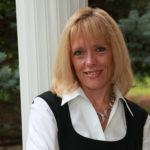 My dear friend, Deb, is guest posting today. She joins me on the podcast for a talk on Overcoming Insecurity. 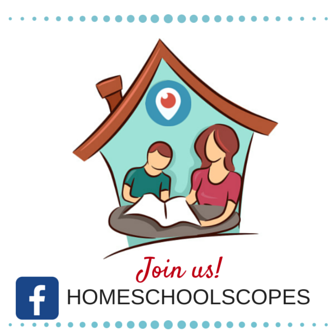 Be sure to listen in, snag a free copy of her amazing book for girls of all ages on December 3-5, 2013, and read more about her at the end of this post. Thanksgiving is behind us. Christmas will be here soon. Your to-do lists are long. If you’re like most of us, that little seed of panic has been planted, watered, and is starting to grow. Meanwhile, your children’s lists of wants and gimmes grow and grow and grow, too. Stop and breathe. Pull your panic weed and throw it away. And remember that the key to happiness is not found in more stuff. It’s found in Gratitude. 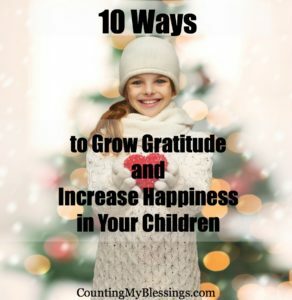 So, here are my 10 Tips to Grow Gratitude and Increase Happiness in Your Children, and who knows it may just help you a little too. 1. Keep a Blessing Jar – Put a jar on your kitchen table or counter, set a pen and strips of paper nearby, and ask each family member to add one thing each day for which they’re thankful. Make plans to read them Christmas Eve as everyone settles down and prepares for bed. Blessing jars can be used all year. Celebrate a birthday filling the jar with reasons the birthday boy or girl is a blessing. Celebrate events and accomplishments by adding words of thanks and gratitude. 3. 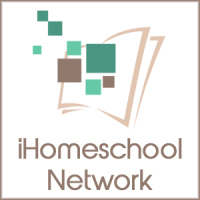 Write Thank you Note – I know of families who do not allow a gift to be used until the thank you note is sent. That’s actually a pretty good idea. Writing thank you notes is a valuable life lesson that will bless your child long into the future. 4. Care and Share – Another important lesson is teaching your children to take care of what they have . . . how to make things last by keeping them clean and putting them away neatly. A nice thing about teaching them to care for what they have is the ability to share clothing and toys they have outgrown with someone less fortunate. Get them to help you in selecting things to share with others. Gold – A valuable treasure . . . something they want – it doesn’t have to be costly just have value for the recipient. This represents Christ our King. Frankincense – An incense that represented prayers . . . something to bless their spiritual life – a book, cd, or dvd. This represents Christ our High Priest. Myrrh – An oil used to treat wounds . . . something for their body – lotions, potions, cologne, etc. This represents Christ our Crucified Savior. 6. Go on a Mission Trip – If your children are old enough, I highly recommend going on a mission trip together. I traveled to Bolivia with World Vision a couple of years ago, and nothing will teach the lesson of gratitude like spending time with those who have nothing. 7. Do a Service Project – Help at your local food pantry, visit a nursing home, make a box for Operation Christmas Child, sponsor a child through World Vision or Compassion Int., babysit for someone who can’t afford it, bake cookies for an elderly neighbor – the list can go on and on. Thinking about and doing for others encourages both gratitude and happiness. 8. Work a Service Job – Everyone should work at a restaurant or store . . . any job that serves the public. Why? Because we each need to be on the receiving end of rude ungrateful behavior in order to know how important it is to be kind and appreciative toward those who help us. 9. Model Good Stewardship – Always say, “Please, thank you, I’m sorry, and please forgive me” to your children. Talk about why you give money and time at church and in your community. Show them how to bless others with their gifts and abilities. Teach them by example that an important part of being grateful is using our blessings to glorify God. 10. Worship Together – Praise and glorify God as a family, not just on Sunday morning but everyday . . . sing in the car, pray, read the Bible or Children’s Devotions together. Help your children realize that everything is a gift from God. My goal this year is not to have a perfect Christmas, but to have a gratitude-filled Christmas with my children and grandchildren. I’m praying that we’ll enjoy a happier celebration as we give thanks for God’s blessings . . . especially the ones we have in each other. Deb Wolf is a devoted wife, mother, author, and speaker who shares thoughts on faith, family, and friendships at Counting My Blessings and decorating tips and ideas at HomeGoods. 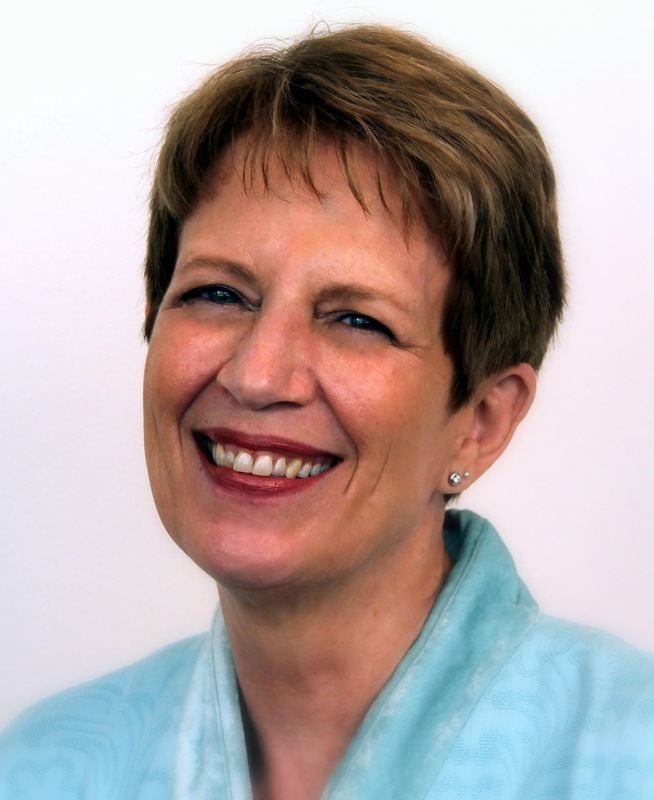 She is also the Managing Editor at 5 Minutes for Faith, and is co-founder of Prayer Ministries International. I like the idea of working in service jobs. That opened up my eyes on how my rudeness could impact people as well. Sharing with my friends and family. Great ideas, Deb – wish I would have had them when the kids were little! Great list and I love # 8 especially. But all of these are great! So glad you stopped by, Dawn. Deb has a lot of wisdom, doesn’t she? 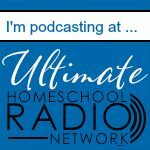 Great tips, and I really enjoyed the podcast!